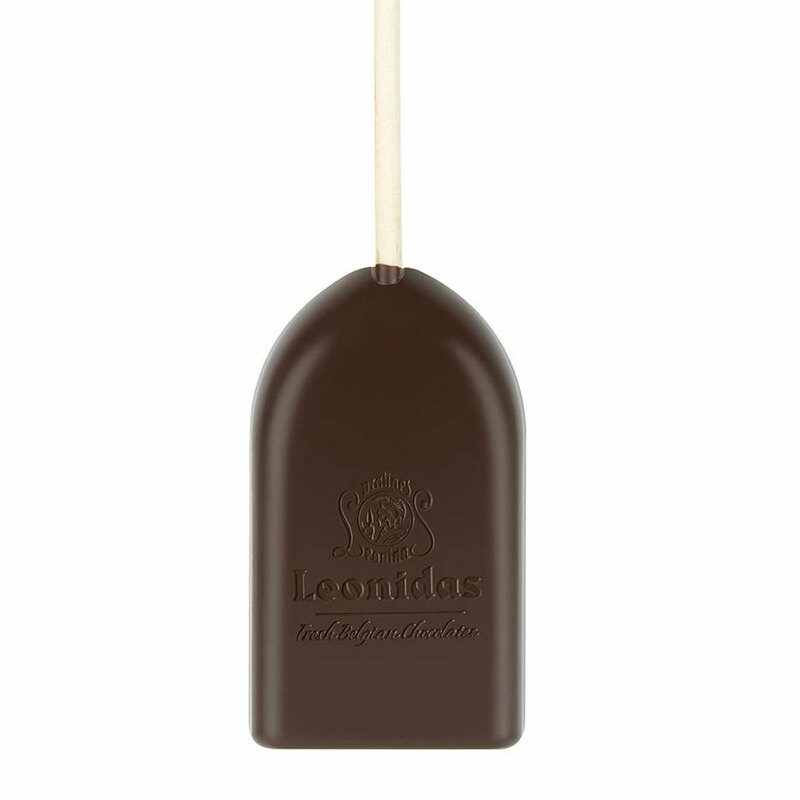 Surprise your favorite chocolate lover with a bounty of Leonidas Belgian chocolates! An elegant collection of blue and white gift boxes are hand packed in a handsome leather style gift hamper for a beautiful presentation. 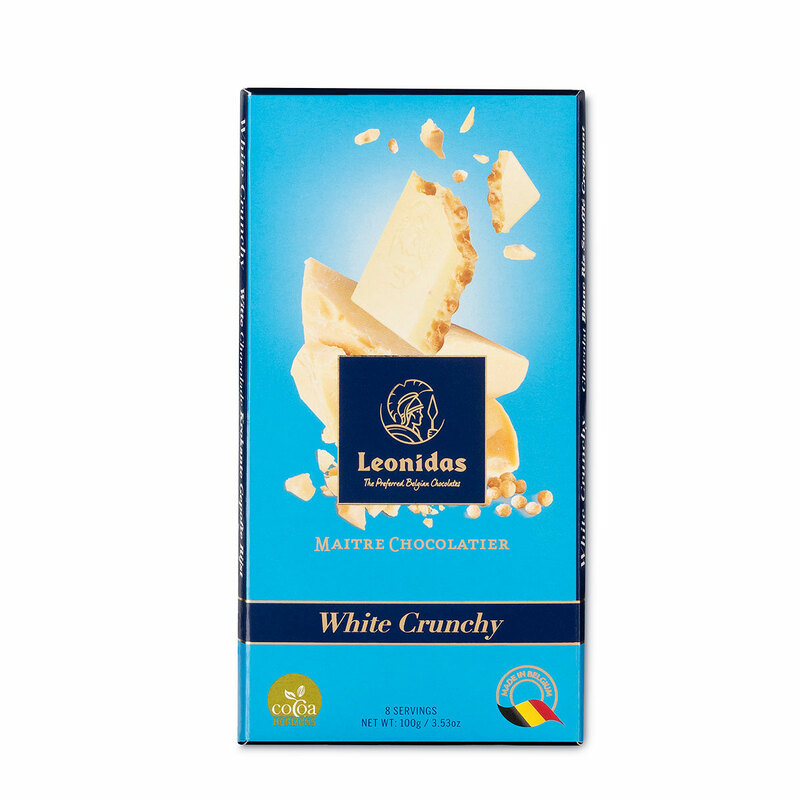 The varied assortment of favorite Leonidas chocolates is a thoughtful gift idea for birthdays, business gifting, and other special occasions. 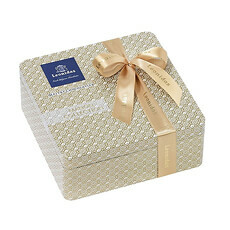 The gift begins with a luscious assortment of ganache, praliné, and caramel filled chocolates. 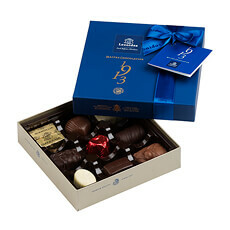 The delicious milk, dark, and white chocolate assortment offers something to please everyone. 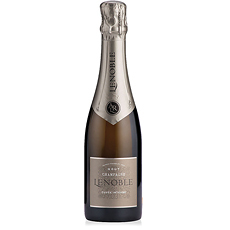 Another 16 signature Leonidas favorites are elegantly presented in the Heritage Blue Collection gift box. 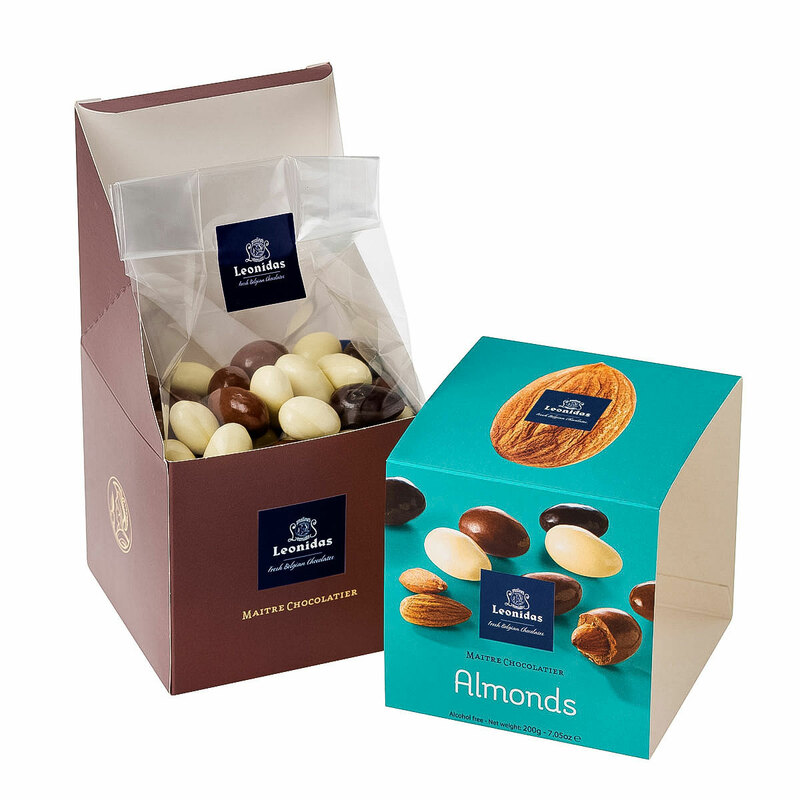 Those who love nuts with their chocolate will definitely enjoy the box of almonds coated in rich milk, dark, and white chocolate. 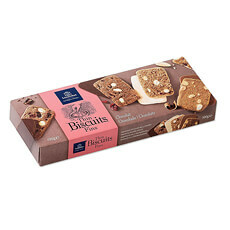 A cello bag with Mendiants - chocolate discs topped with nuts and dried fruit - is also sure to please. 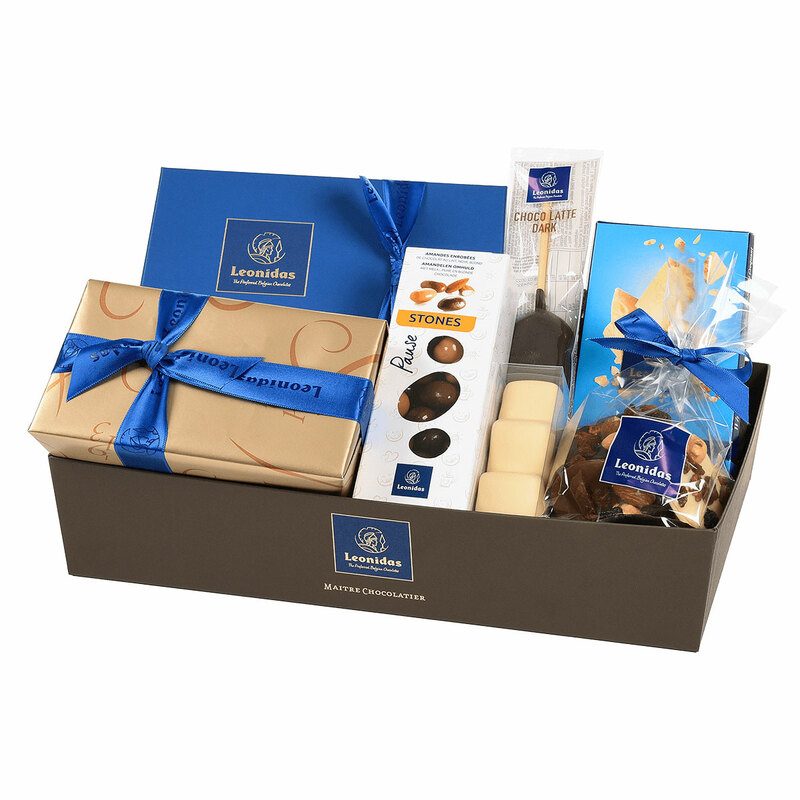 Many more delights await in this Leonidas gift basket. The treats include Manons, a white chocolate tablet with crunchy puffed rice, and a dark latte Chocostick for making heavenly hot chocolate. 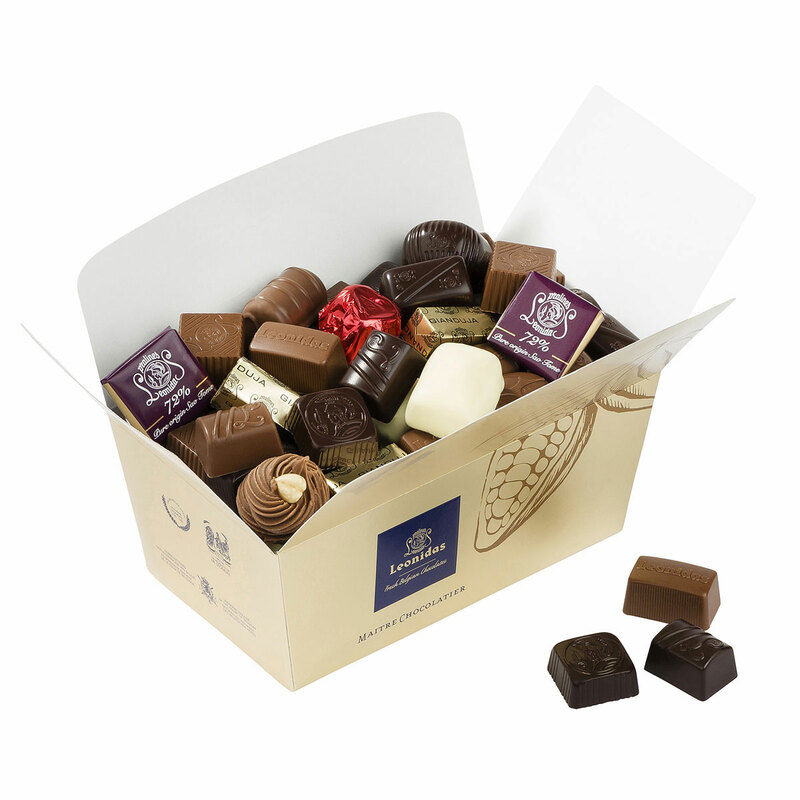 Whatever the occasion, this Belgian chocolate gift hamper is an excellent choice.